1. This Bloody Mary is all about the appetizer sampler. 2. This Bloody Mary is so intensely garnished, you need a beer to wash her down. 3. This Bloody Mary has seriously expensive taste. 4. This Bloody Mary has a meat straw. 4.This Bloody Mary will never be too good for string cheese. We blindly support anything Slater’s 50/50 does, but perhaps their most stunning achievement came this past May, when they ran a bracket of their greatest burger hits. It included this hot mess (in a good way! 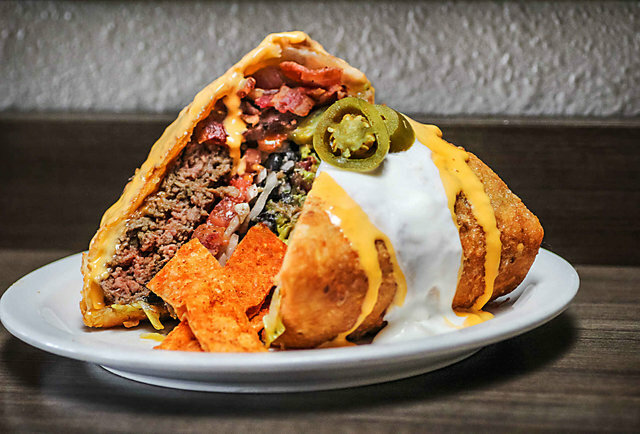 ), the Supreme Nacho Burger. Packing enough calories to put Snap, Crackle, and Pop into food comas, here is the sweet treat burger in all its glory. 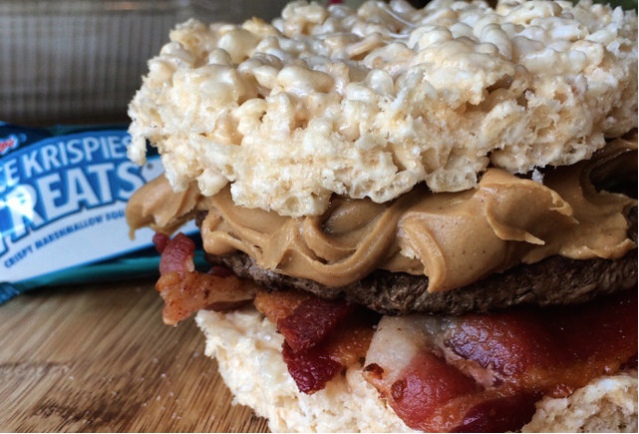 Topped with peanut butter and bacon, this will be a taste you may never forget. You’re welcome. Creating habits since 1969, The Habit serves all kinds of burgers from The Santa Barbara Style to the Teriyaki Charburger. Make sure you get a side of the tempura fried green beans. Our last two burgers are right here in the heart of San Fran. The steakburgers are all aged beef, ground in-house, and often include scraps chopped away while butchering more expensive cuts of meat, like rib eyes and Wagyu filets. 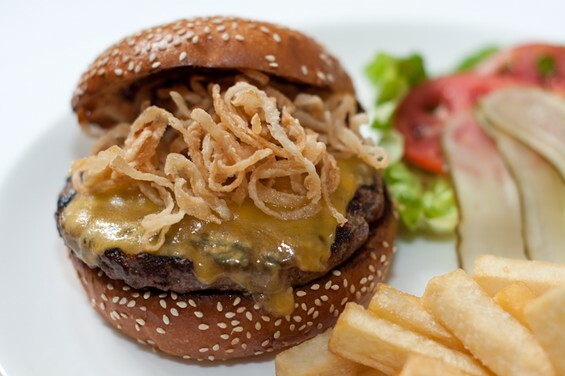 The cowboy-style burger tacks on bacon and crispy onion. While the Valencia St. restaurant has finally added a “normal” burger, we prefer the innovative inside-out burger: Two 4 oz. 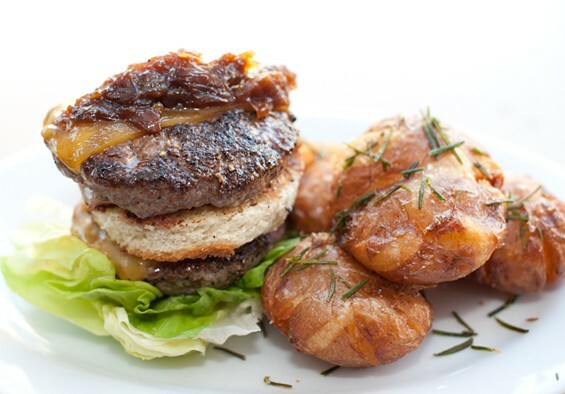 Marin Sun Farms patties on the outside encase the house-baked bun. It also comes with all the trimmings, as you can see, and the smashed new-potato fries are not to be missed. How do you eat it? With a knife and spork. Obviously.